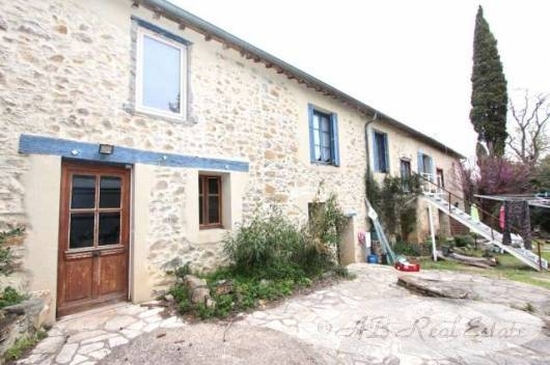 This house offers 540m² of living space, 5 bedrooms used in B&B plus 3 gites plus own private accommodation, tastefully renovated, large rooms, garage/work shop of 145m², nice sunny terrace, BBQ area, swimming pool above ground, mobile home and land of 1,6ha partly planted with 150 truffle oaks. Holiday home or main living home the property has real potential. Close to the beach and ski stations. Easy connection to motorway, rail system and 5 local airports. Business opportunity not to be missed!